Happy Valentines Day! It has been a cold and rainy week here in Texas but I'm hoping for a little sunshine today. 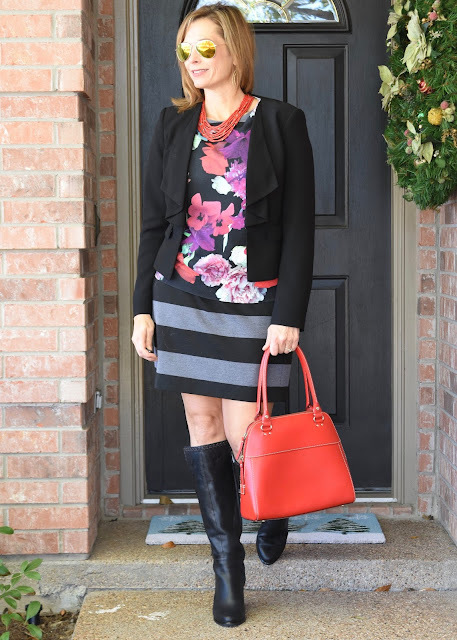 We have had an unseasonably cold winter here in Texas which has definitely provided lots of opportunities for layering! 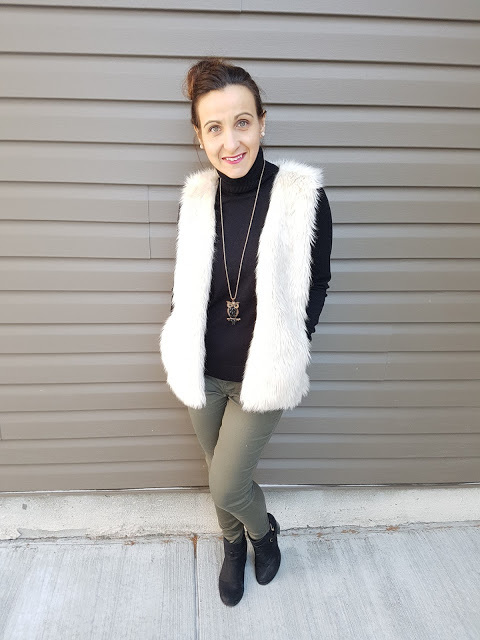 Hi, I'm Shelly from The Queen in Between Blog and today I'm showing off some of my favorite ways to layer for winter but still look pulled together. Grab those extra accessories to make the winter elements more bearable like fun rain boots or a pom pom hat and let them compliment an otherwise ordinary sweater. In Texas it may be 33 degrees for our walk into work in the mornings but 60 by the afternoon so finding pieces to layer well together is the key to surviving the day. 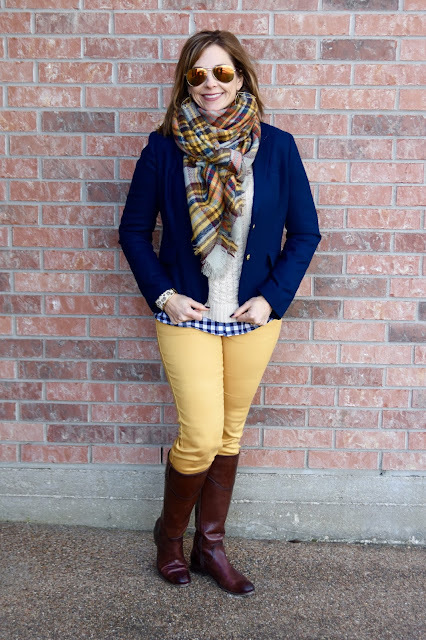 I love this combo because there are several layers which can be shed and the outfit is still totally workable. When in doubt add some fun colored jeans and a blanket scarf! And lastly, one of my very favorite ways to stretch an outfit is to layer a sweater over a dress. This combo was topped with a blazer to finish the look. 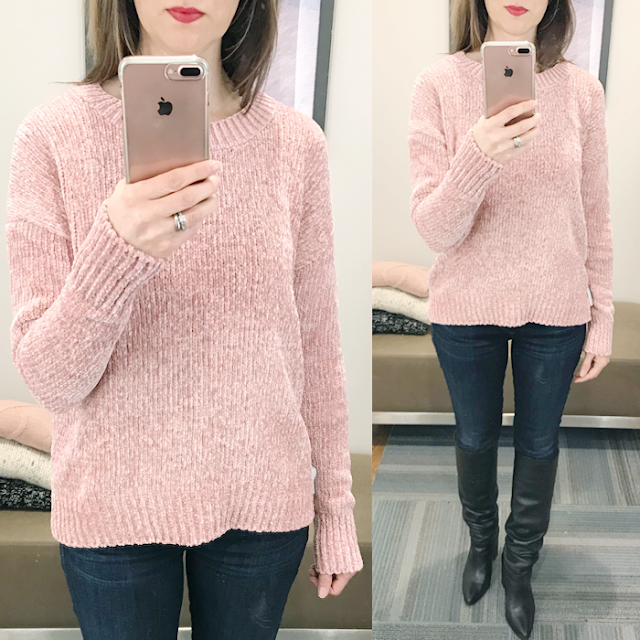 Lisa showed off several sweaters and this was my favorite! You can see her full try on session here. Bo shopped her closet in January and showed off what she was wearing with several great layered outfits. 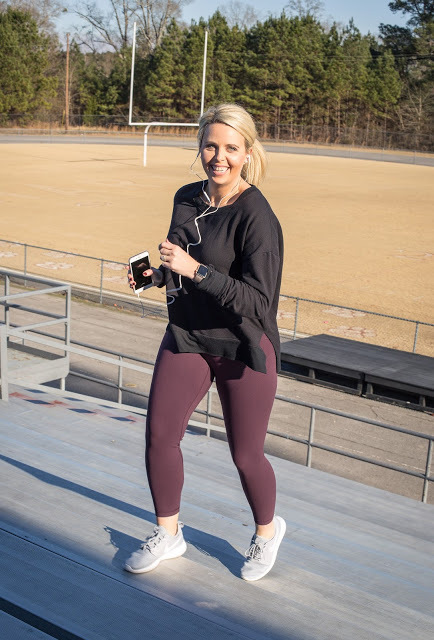 And sweet Sarah showed off her workout clothes along with some inspiration to keep your healthy near years resolutions. 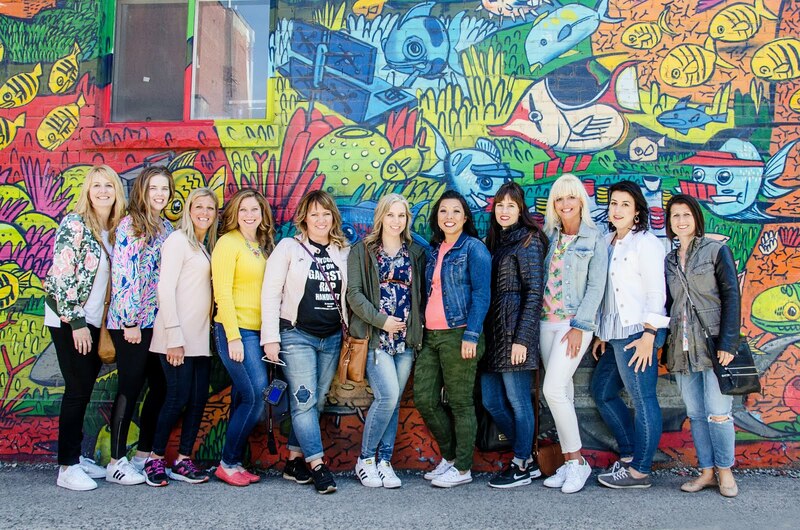 Now it's your turn to link up with The Blended Blog and show off your favorite style!